Want to network but don't know where to go to meet the right people? This article will give you lots of ideas. Business networking is all about forming strong relationships built on mutual respect and trust. Those relationships are the basis for the single most important tool that we all need if we want to survive in the competitive 21st century. And today's savvy business professionals know that--just as night follows day--networking leads to referral business. Professional Associations--Join your professional association. It's a powerful source for richly rewarding contacts that can result in a tremendous number of referrals from people with a different specialty than yours. If possible, join the professional association of your target market. Form those relationships. See and be seen among them and before you know it, you will be considered the "go-to" person in your industry. Special interest groups--Whether you're interested in sports, the Internet, politics, crafts, poetry, theater, travel, or underwater basket weaving, there are other people who share your interests. Ask around, look at your local newspaper listings or search the Internet for groups you can join. Newcomers Clubs--If you're new to a city and haven't had the chance to meet many people yet, you'll be delighted to learn that a lot of communities all over the world have clubs for people just like you. Type your town or city and the term "newcomers club" into your favorite search engine and you'll be able to tap into people who can help you start networking in your area. Networking Events--Again, go to your favorite search engine. Type in your locale and the term "networking events." Your Local Newspaper--Review the business section of your local newspaper. Often they list upcoming events for the week in Monday's edition. If you can't find any networking opportunities listed there, call a business reporter and ask him or her to point you in the right direction. The call itself can be a very powerful networking moment. Leads Groups--These are structured networking organizations usually limited to one person per occupation. The purpose is primarily to exchange business referrals, and the amount of business that comes from a well-run group can be staggering. I started and ran my own leads groups for over a decade and I know how powerful they can be in accelerating business growth. 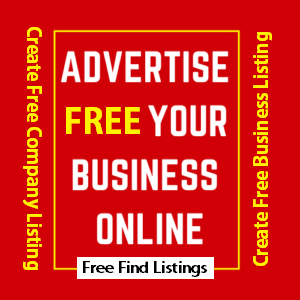 Again, ask around for a good group in your area or search the search engines under "business networks," "leads groups," or "referral groups" plus your town or city's name. Workshops and Seminars--These can be wonderful networking opportunities, especially the ones that run over several days. Take advantage of the interactive exercises and the breaks to get to know other participants. Staying in touch after the event is over is key in deepening those relationships. Volunteering--Do something good for others while creating lasting relationships with your volunteer colleagues. Knock people's socks off with what you do as a volunteer and it will give people an indication of how you conduct your business. This will make you incredibly attractive to potential referral partners in the group. Chamber of Commerce--Check out the networking opportunities that your local Chamber of Commerce offers. Also use them as a resource for finding other networking events in your community. Parental Networking--Opportunities abound to meet people through your children. Weather you're leading a Scout troop, chaperoning a dance, attending a soccer game, setting up carpools, or manning a booth at a bake sale, doesn't matter. What matters is that it's pretty well impossible not to create relationships with other parents when you are surrounded by them. The Best Place to Network--The best place to network is always where members of your target market hang out. Bottom Line: If you want more business, you need referrals, and if you want referrals, you need to network.